Aeropress coffee-brewer. 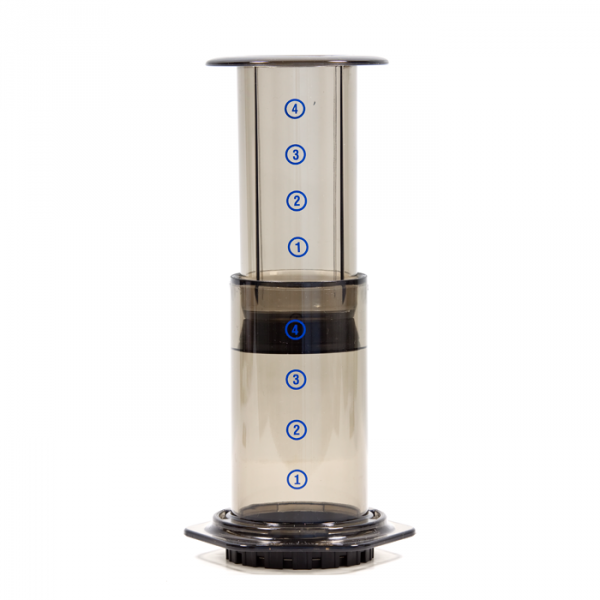 The AeroPress by Aerobie, Inc. brings out the best in every bean. Its unique brewing method gives the richest coffee flavor, with less bitterness and acidity, and no grounds left in your cup!